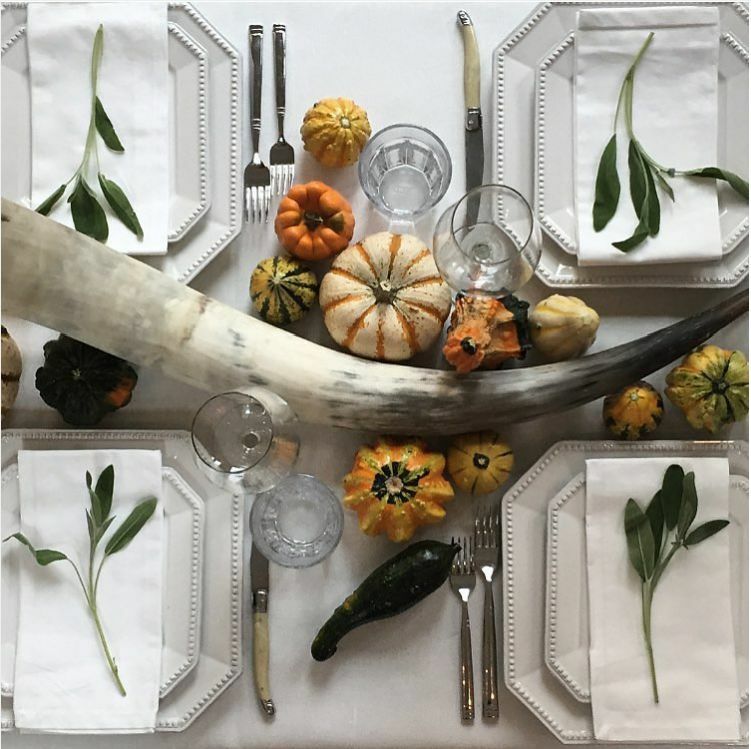 By most standards, Thanksgiving is pretty much the most maximalist holiday of the year — and that’s a bold statement considering it’s sandwiched between Halloween and Christmas. Those other celebrations definitely take things to the extreme, but they really don’t hold a candle to the excesiveness that is Thanksgiving. On Thanksgiving, the bigger the turkey, the better. We cram as much stuffing, mashed potatoes and gravy and cranberry sauce into our bellies as possible in one sitting — but still manage to save enough room for pumpkin pie and other yummy Turkey Day desserts. 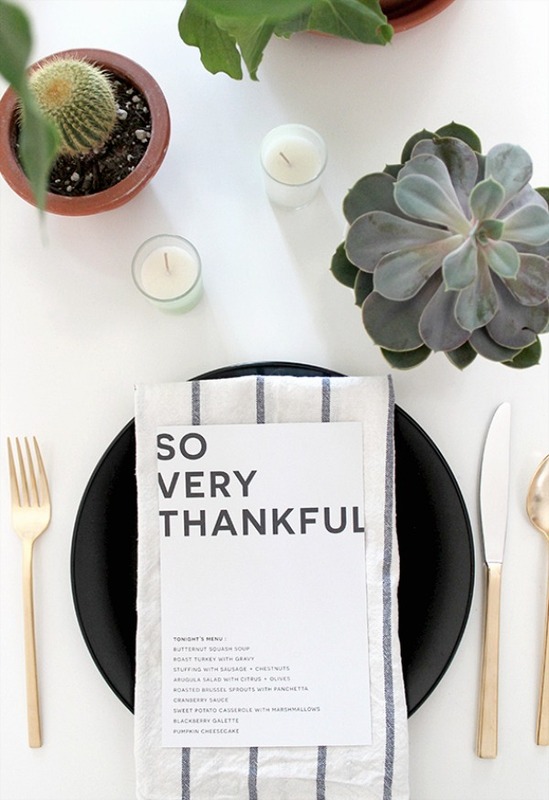 Thanksgiving is when we give our stretchy pants a run for the money. It’s go big or go home time. The only exception? 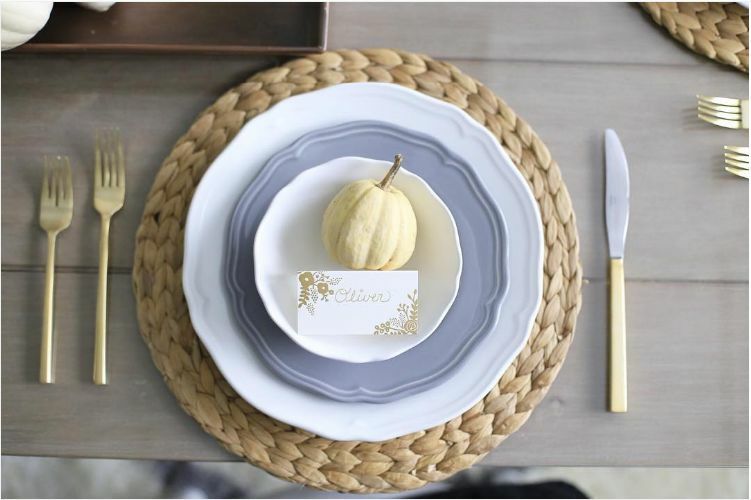 We think there’s a case to be made that minimalist decor is just what our Thanksgiving table needs to balance out the decadence of everything else. 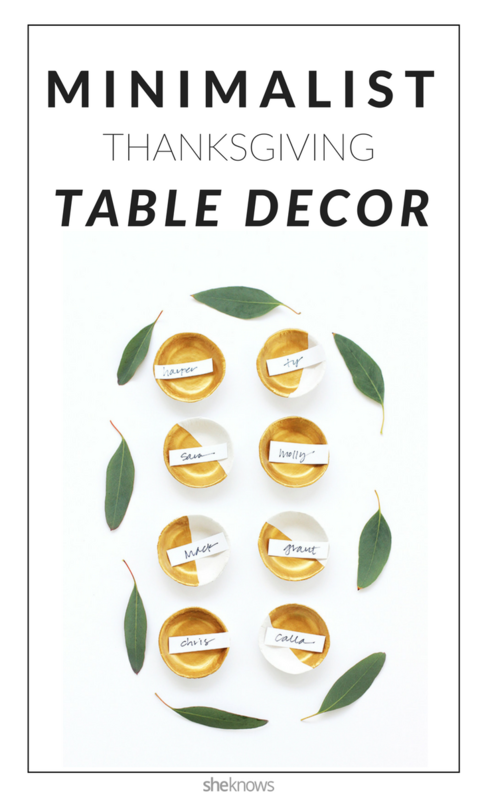 This Thanksgiving, let the food be the star by setting a chic, modern table. 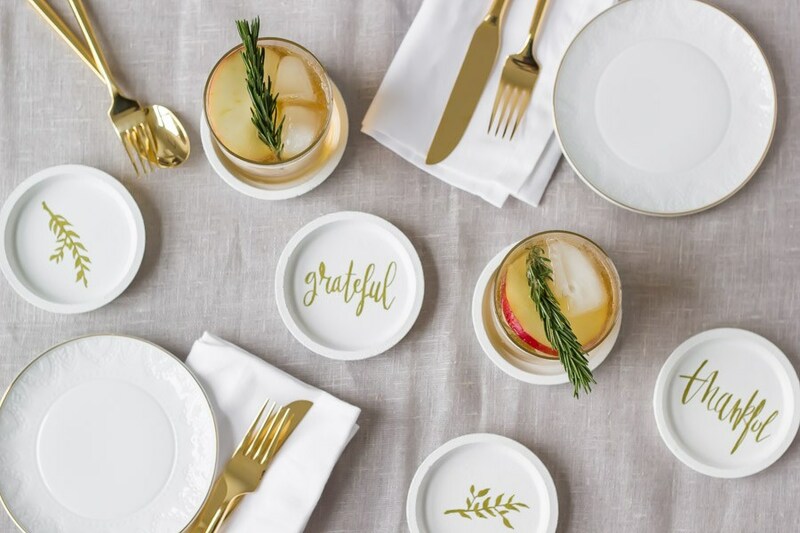 Every time your guests lift their glasses, they’ll get a hint of holiday cheer. 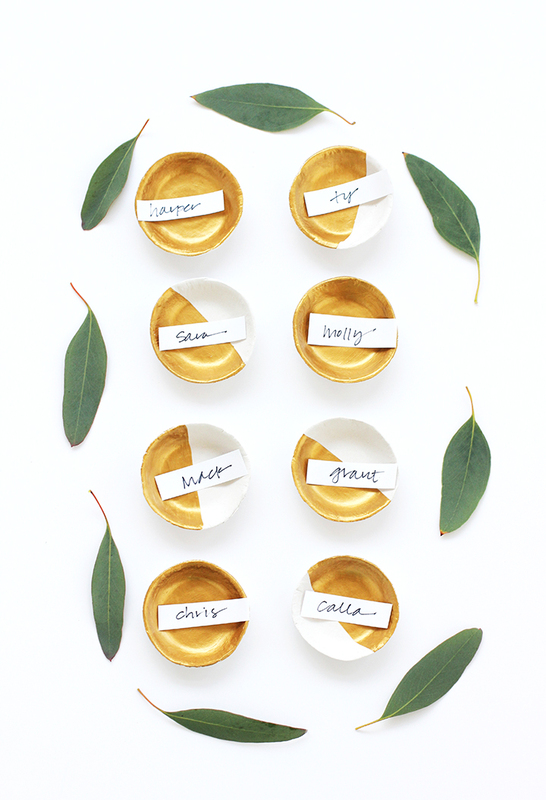 Gilded clay bowls double as minimalist place card holders and gifts for your Thanksgiving guests. 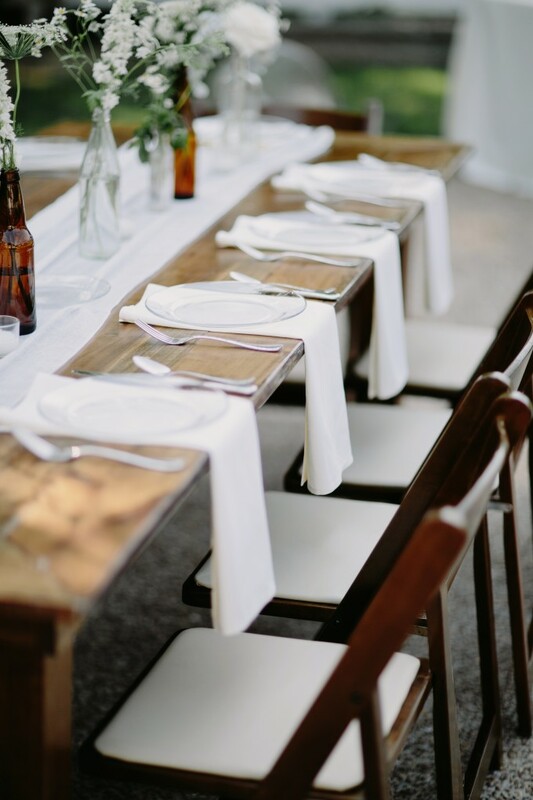 Do away with the stodgy calligraphy and opt for clean, modern menus instead. 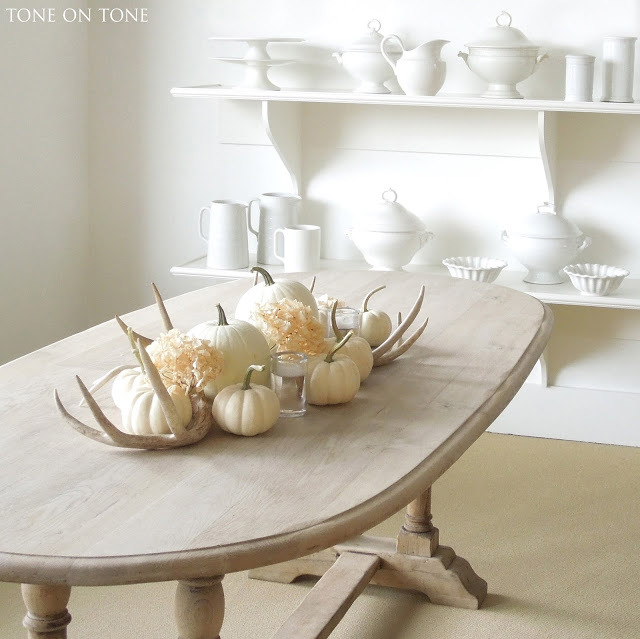 A sprig of sage brings life to sparse white plates and linens, along with small gourds and a sleek horn. 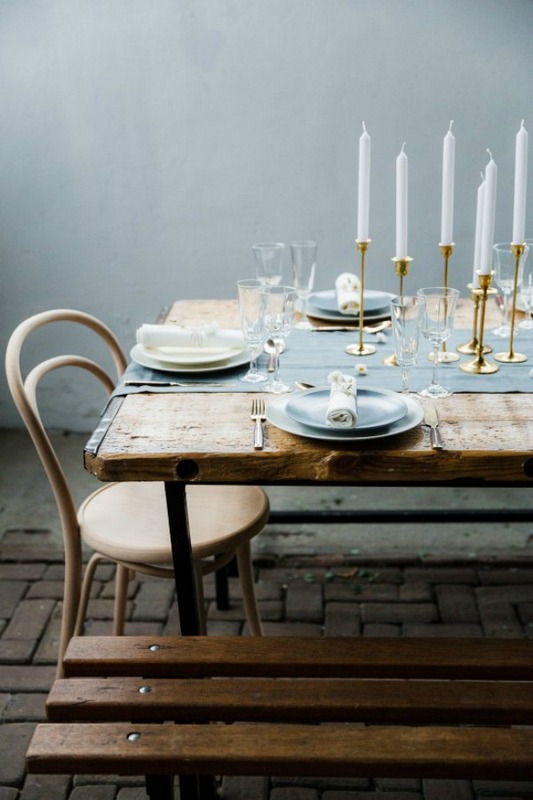 A rustic wooden table with a linen table runner and golden candle holders make for a modern yet rustic look. 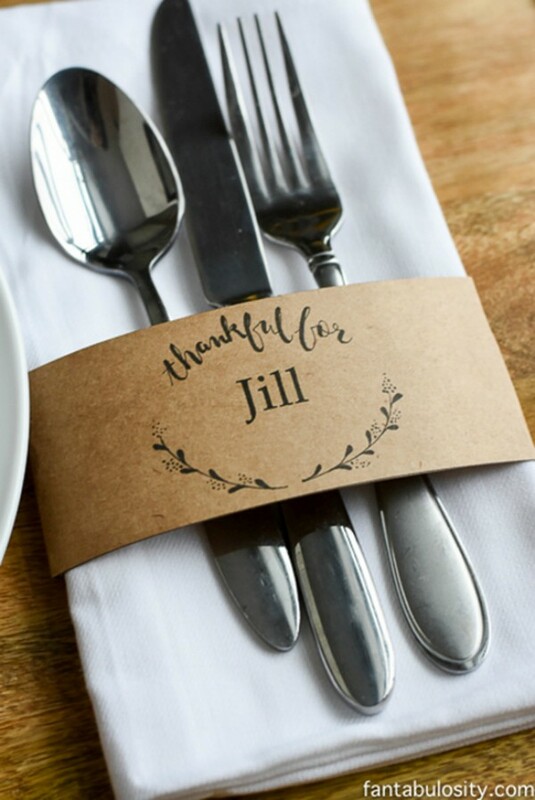 This simple printable is a modern way to present your silverware, no napkin ring needed. Swap out the bright oranges, reds and yellows of fall in favor of a light, neutral color palette. 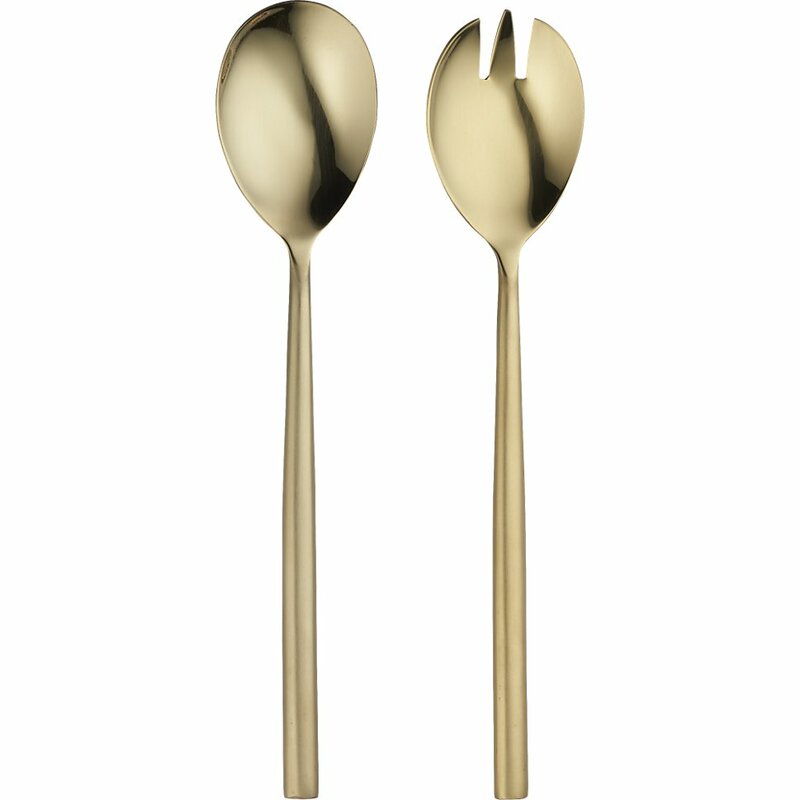 Golden serving spoons in a sleek, modern design add just enough glamor to your minimal tablescape. 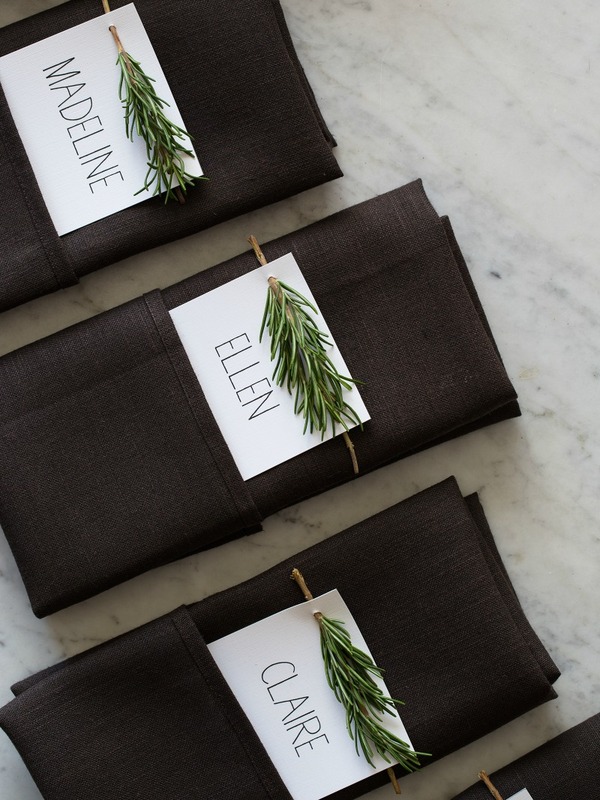 Pairing sleek black napkins with a rosemary-adorned place card is a simple way to make a big impact. 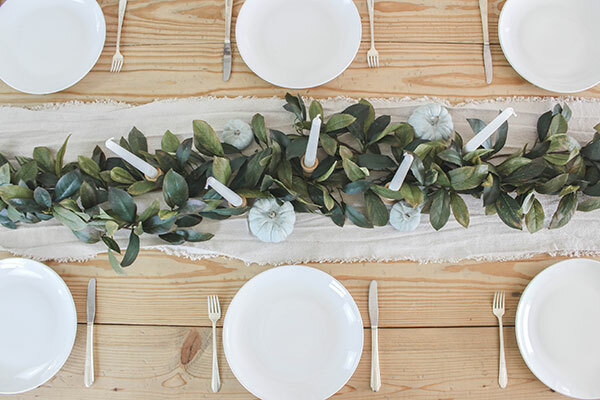 Run a line of green foliage and white tapers down the table in lieu of more ornate centerpieces. 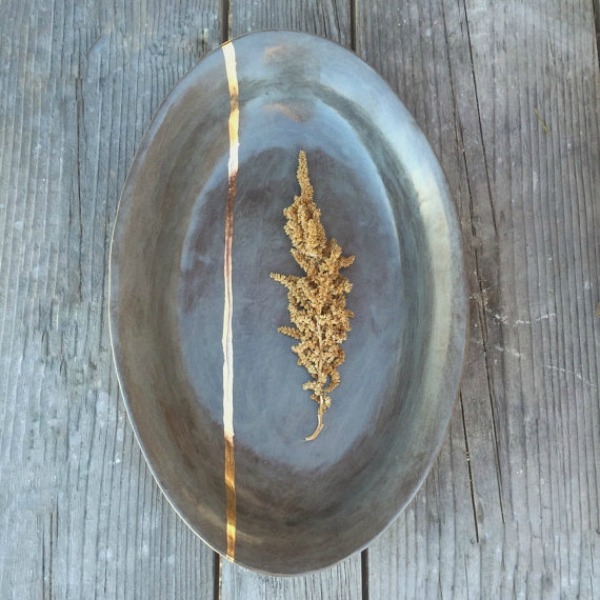 Forgo the cheesy leaf-printed serving-ware and opt for this gray and gold ceramic platter. 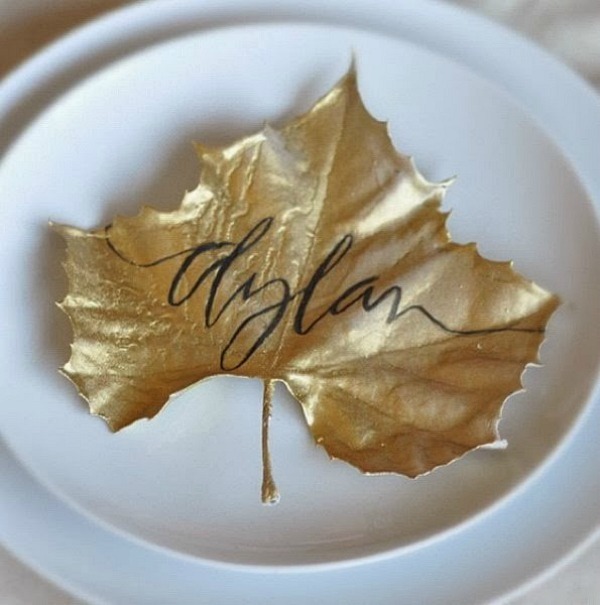 Put a modern spin on nature by spray-painting leaves gold and using them as place cards on white plates. 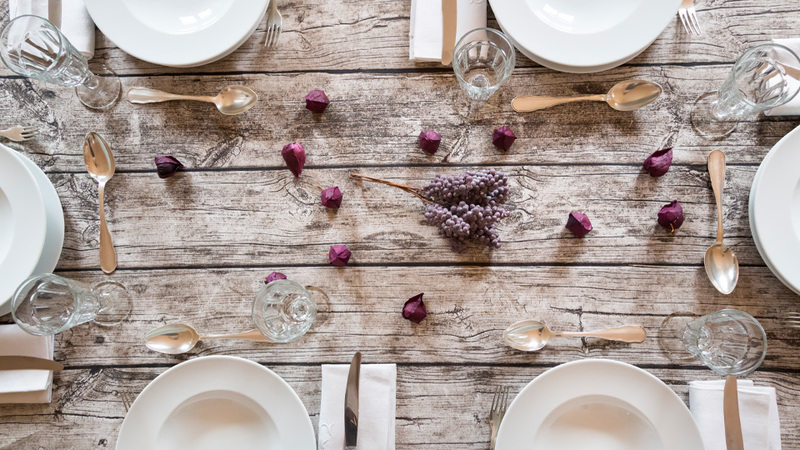 Choose a single, simple centerpiece and pair it with neutral tableware and linens for a cool, calm look. 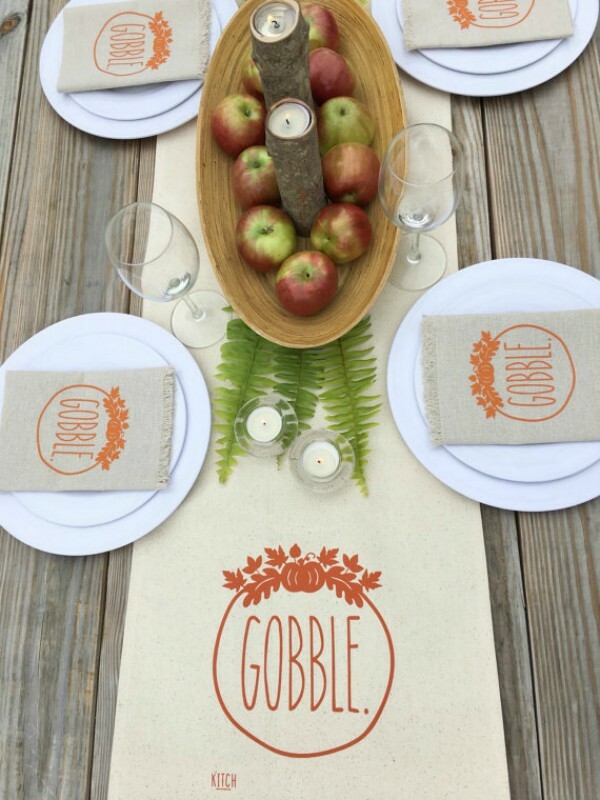 A neutral table runner with a simple print adds just enough Thanksgiving flair to your table. 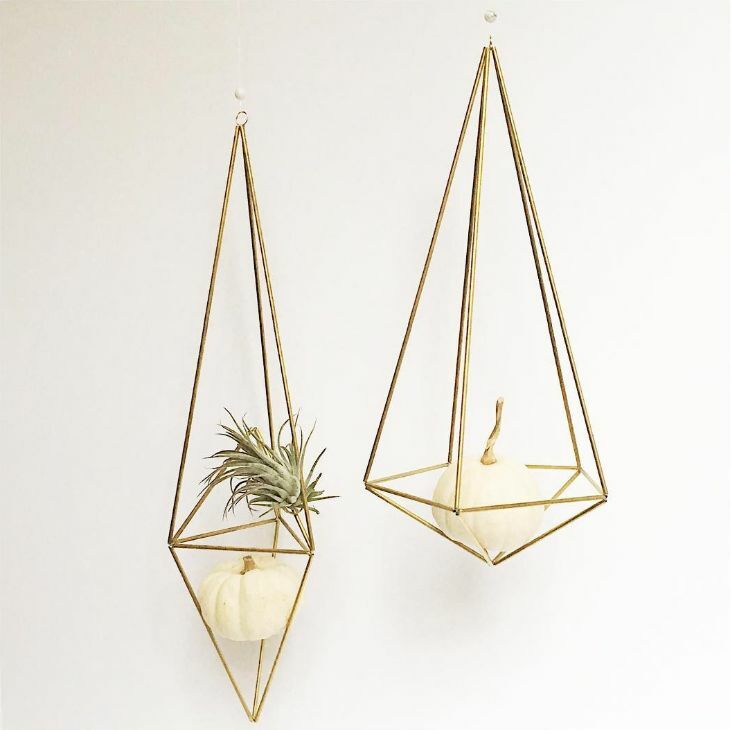 Geometric sculptures holding tiny white pumpkins and air plants will make a statement this Thanksgiving. A variety of textures and neutral colors paired with gold make for minimalist decor with surprising depth. 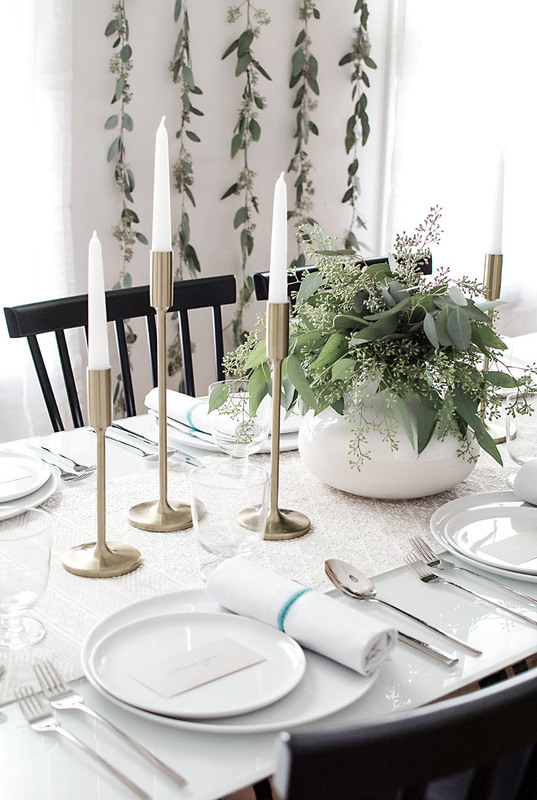 Clear glass plates and vases keep your table simple — the focus is on your table and linens. 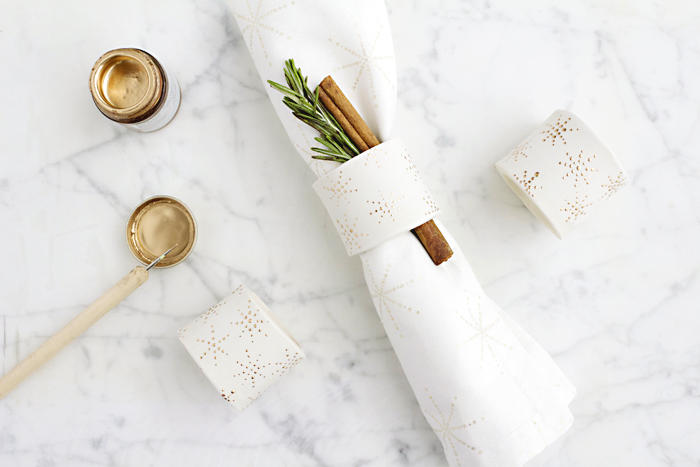 Copper paint and polymer clay are all you need to make these simple yet festive napkin rings. 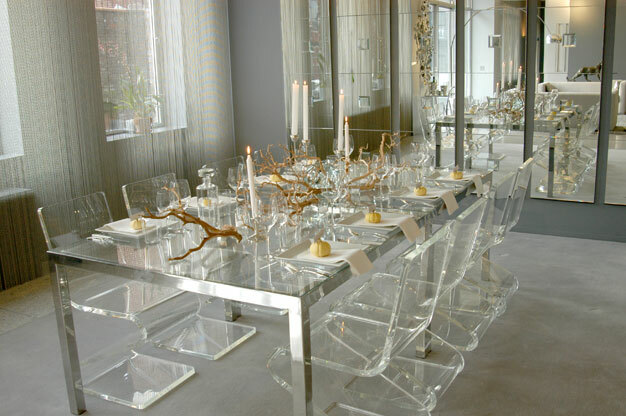 It doesn’t get much simpler than a lucite table decorated with a few gold pumpkins and branches. 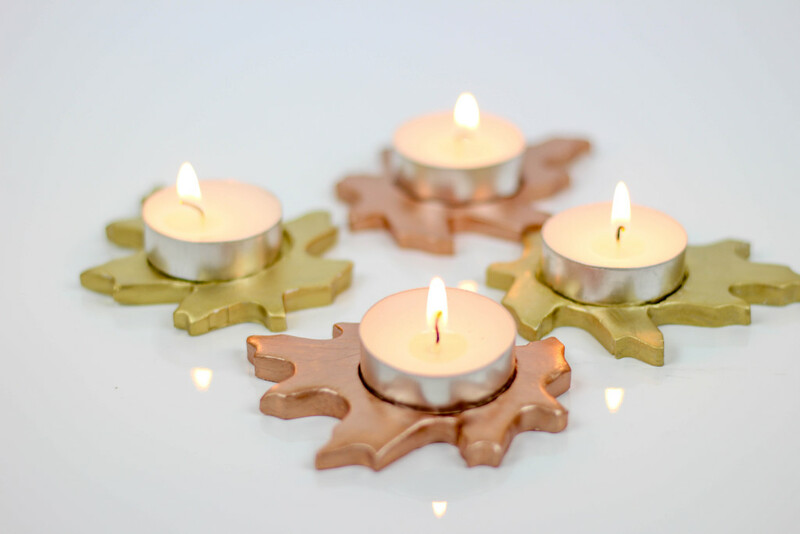 Just a couple of these metallic leaf candle holders on your table will set the scene without going overboard. 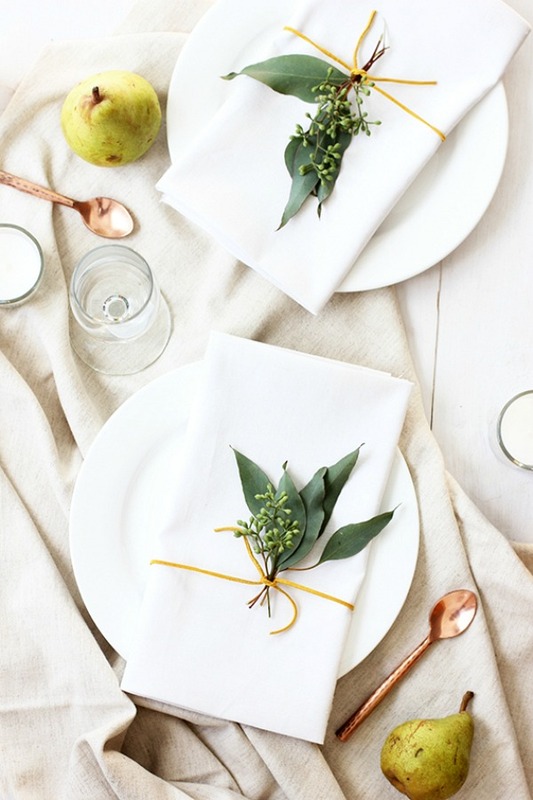 Eucalyptus sprigs tied with leather cord around white napkins gives your table a clean, autumnal look. Pin these ideas before you forget them!